Home > Parts & Electronics > Glue, Tape & Misc. Parts > Indoor landing gear kit. 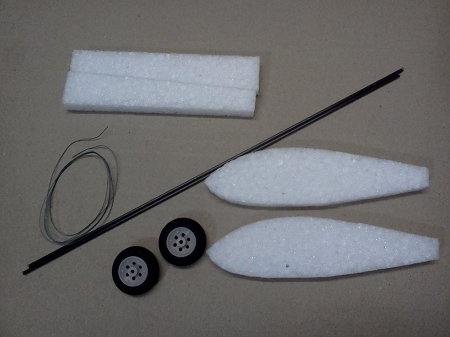 This kit contains the necessary parts to add landing gear to one of our indoor airplanes. The wheel diameter is 25mm.